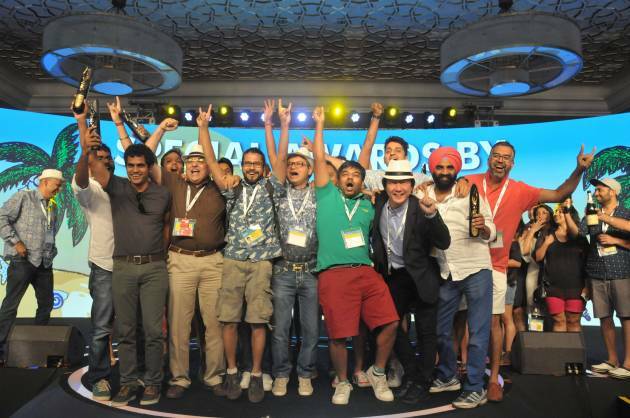 After 3 days of seminars and conclaves by industry experts, parties and the frenzy over the Abbys, Goafest 2017, India’s foremost advertising, media and marketing convention, came to a spectacular conclusion on April 8. This year, a total of 421 metals were awarded, which included 57 Golds, 158 Silvers and 206 Bronzes. Taproot Dentsu, which was placed second in the metals tally with 40 wins in 2016, this year leads the metals tally with 41 wins, which includes 9 Golds, 20 Silvers and 12 Bronzes. The agency has secured the maximum Gold metals. The Social Street follows close behind with 40 wins, which includes 4 Golds, 9 Silvers and 27 Bronzes. J Walter Thompson, which led the metals tally last year, is placed third in 2017, securing 36 wins. The agency’s haul includes 6 Golds, 14 Silvers and 16 Bronzes. The eventful Day 3 came to an end with the presentation of Abbys for Digital, Mobile, Out of Home, Ambient Media, Design, Print, Film Craft, Integrated Advertising, Special Awards (Gender Sensitive), Young Abby and Film. No Golds were awarded in Digital. Dentsu Webchutney, JWT and Sideways Consulting secured 3 Bronze metals each. The Social Street and Happy Mcgarrybowen won 1 Silver and 1 Bronze each. Bombay Design Centre and River Advertising walked away with 2 Bronze metals each. 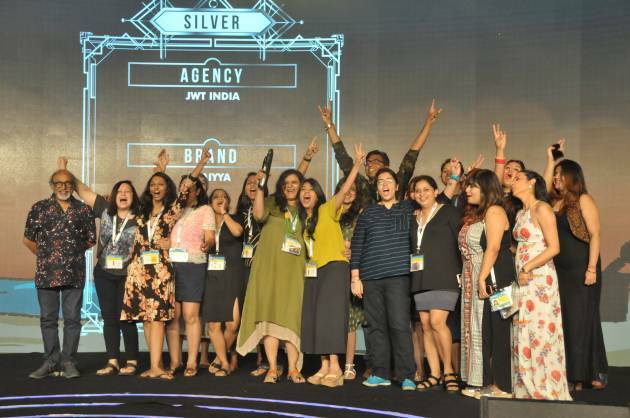 Mindshare, Blink Digital India, Kinetic India, and Isobar India won a Silver each, while Scarecrow Communications, Big I Tuna, Urban Ladder, Utopeia Communicationz, Foolish and Taproot Dentsu took home a Bronze each. Two Golds were awarded in Mobile, which were bagged by JWT and Taproot Dentsu. JWT also bagged 2 Silver metals. Dentsu Webchutney took home 2 Silvers and 1 Bronze. Hungama Digital and Madison Media secured a Silver and a Bronze each. Meanwhile, Star India, BC Web Wise and Mindshare Fulcrum won a Bronze metal each. Early Man Film, Breathless Films, and Absolute Productions took home a Gold each. Leading Film Craft’s metals tally was Early Man Film, which scored 1 Gold, 1 Silver and 3 Bronze metals in all. Absolute Productions won 1 Gold and 2 Silvers, while Breathless Films bagged 1 Gold and 3 Bronzes. Goodmorning’s metals tally included 2 Silvers and 1 Bronze. Red Ice Productions won 1 Silver and 1 Bronze, while Storytellers.in won 3 Bronze metals. JWT bagged a Silver. Taproot Dentsu took home 2 Bronzes, while Law & Kenneth Saatchi & Saatchi, Flying Saucer Pictures, Little Red Car Films, and Ransom Film won a Bronze each. Taproot Dentsu won the only Gold awarded in Film Single. The agency also bagged a Silver. Medulla Communications secured 2 Silver metals. Rishtey Cineplex took home 1 Silver and 2 Bronzes. JWT and Law & Kenneth Saatchi & Saatchi bagged 1 Silver and 1 Bronze each. Happy Mcgarrybowen took home a Silver. Scarecrow, Onads Communications, and Cheil India scored a Bronze each. No Golds were awarded in Print Single. The Social Street, Taproot Dentsu, JWT, Scarecrow, Out of the Box, and Famous Innovations were among the Silver winners. The Social Street’s metals tally included 2 Silvers and 2 Bronzes, while Taproot Dentsu bagged 2 Silvers. JWT won a Silver and a Bronze. Scarecrow, Out of the Box, Famous Innovations took home a Silver each. Dentsu Impact, ideas@work, and FCB Interface were among the Bronze winners. Open Strategy & Design dominated Design with 11 metals – 4 Golds, 4 Silvers and 3 Bronzes. The other Gold winners in this category were Viral Pandya (1 Gold, 1 Silver, 1 Bronze) and Famous Innovations (1 Gold, 1 Silver). The Social Street took home 6 Bronze metals, while Autumn Winter bagged 1 Silver and 4 Bronzes. Umbrella Design won 2 Silvers and 1 Bronze, while JWT won a Silver and a Bronze. Alok Nanda & Company took home a Silver. Garage, Medulla, Y Studio, Hyphen (ANC), Enormous, Dentsu Impact, and Kinetic India were the Bronze winners. Taproot Dentsu and Kinetic India walked away with a Gold each in Ambient. The Social Street and Famous Innovations’ haul included 2 Silvers each. Scarecrow and FCB Interface won a Silver and a Bronze each. Milestone Brandcom bagged 2 Bronzes, while Scarecrow & ideas@work won 1 Bronze. 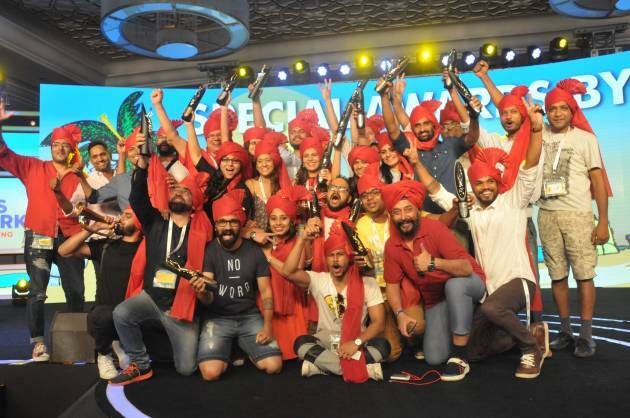 JWT bagged 1 Gold and 1 Silver in Integrated, while Star India took home a Gold. Taproot Dentsu and Famous Innovations secured a Silver each. The Social Street, Happy Mcgarrybowen, and Medulla Communications won a Bronze each. Out of Home saw 4 Golds being awarded. The Social Street led the category with 2 Gold and 5 Bronze metals. JWT followed with 1 Gold, 2 Silvers and 3 Bronzes. Medulla Communications secured a Gold. Taproot Dentsu took home 1 Silver and 2 Bronzes. Dentsu Impact, ideas@work, and Out of the Box won a Silver and a Bronze each. Autumn Winter bagged 1 Silver. Scarecrow, Madison BMB, and Law & Kenneth Saatchi & Saatchi won a Bronze each.